pouring over exsisting garage pad. Q. I purchased a home with an old garage pad. the past owner parked semi trucks on the pad, now it is cracked in many places. The garage has been moved, the slab still remains. I would like to pour over the top of the existing pad. The old pad is 24x44, I want to pour 30x50. The cracking was due to the heavy loads of the trucks, no frost heaves or ground moving. 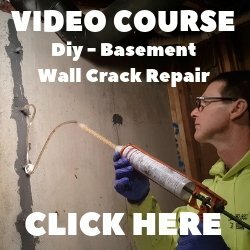 I would like to pour 4 to 6 inches thick with rebar, is this possible with having no repercussions later? What would be the proper prep work? Do I put poly between the old pad and the new pad or just pour over top? The old pad will be cleaned off the best I can. The ground has not been disturbed for 30+ years. A. As long as the ground is not moving, pouring over the existing slab is OK. We do this all the time with success. 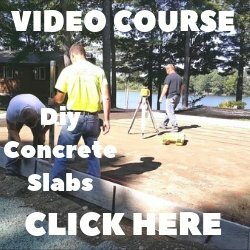 When we pour over an existing slab and the new pour is 3" or more, we like to prevent the new slab from bonding to the old slab. This lets them expand and contract independently from each other, helping to minimize cracking. We do this by installing a layer of Typar or Tyvek inbetween the two slabs. This lets the old slab breathe and keeps them from bonding to each other. Install your gravel base around the existing slab the size of your new slab plus an extra 2 feet wider. Compact the gravel, form the edges, install your rebar mat and pour the new concrete the same as usual. Saw your contraction joints about every 10' and apply a good concrete sealer to cure and protect the slab.